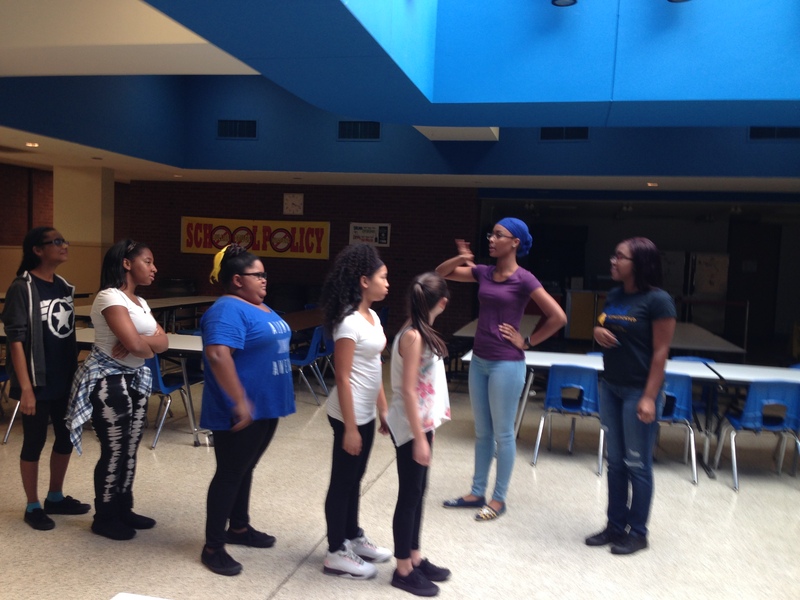 Welcome to the stage: Level X | Omicron Eta Chapter of Sigma Gamma Rho Sorority, Inc.
After reaching out to local middle schools we have finally found a home. 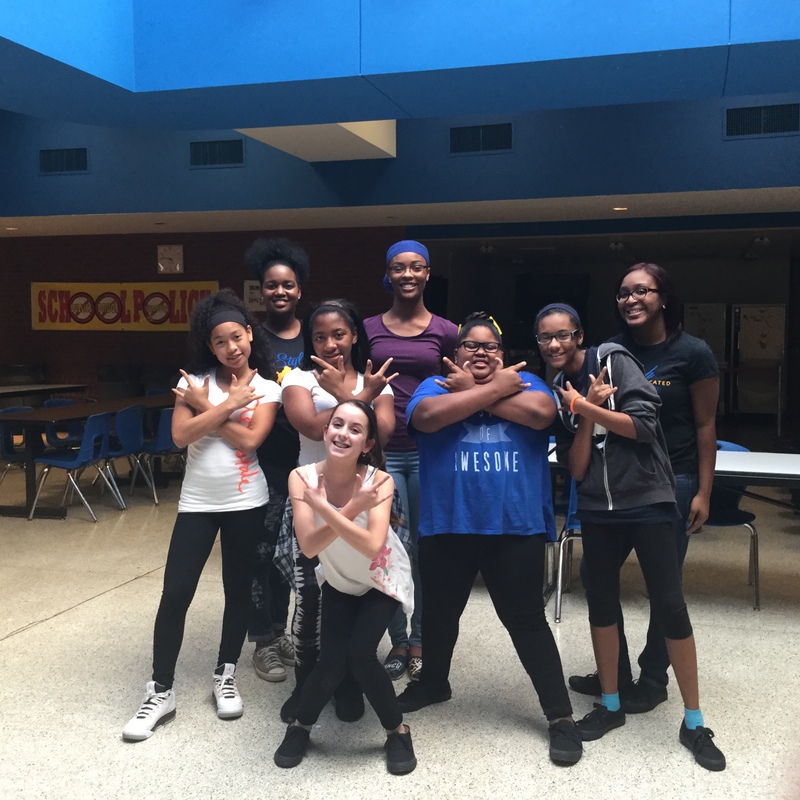 Western Union Middle School allowed us to come out and help with their school Step Team: Level X. On October 13, 2015, we traveled to meet the team and the coaches. The girls were automatically filled with enthusiasm when they saw us. They performed for us what they did for their school prep rally and we performed for them as well. You could tell that they really looked up to us as young girls. While teaching them a dance they started to brainstorm different songs they could use while performing the dance. We took this as a learning opportunity to explain to them that they are apart of something bigger than them. They are a representation of the school and step team now. We explained to them that other girls may look up to you. It was truly a great experience to take it back to the days we all have put in our memories.